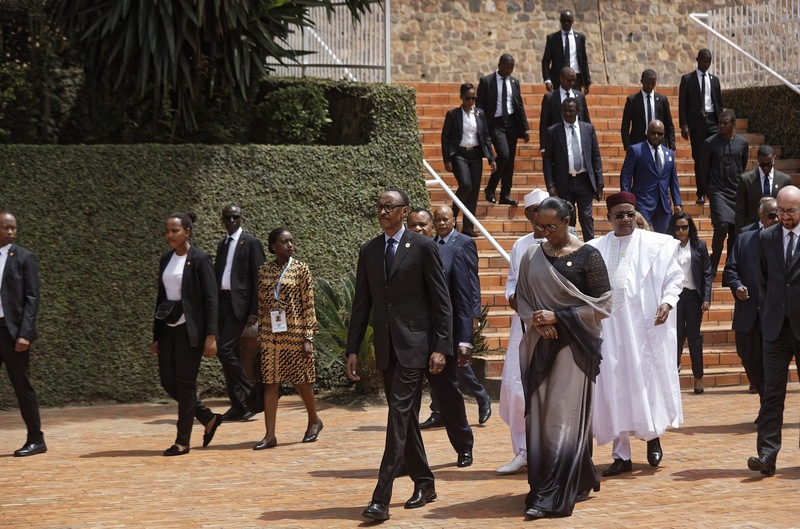 KIGALI, RWANDA (AP) — Rwanda on Sunday somberly commemorated the start, 25 years ago, of its genocide in which some 800,000 people were killed, as the country continues to grapple with the lasting consequences of the mass killings. 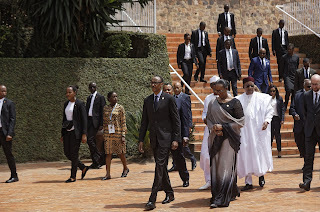 President Paul Kagame and first lady Jeannette Kagame laid wreaths and lit a flame at the mass burial ground of 250,000 victims at the Kigali Genocide Memorial Center in the capital, Kigali. Those attending the ceremonies included the leaders of Chad, Congo Brazzaville, Djibouti, Niger, Belgium, Canada, Ethiopia, as well as the African Union and the European Union. There will be a procession through the capital to Kigali’s National Stadium where are many as 30,000 are expected to participate in an evening candlelit ceremony. “Twenty-five years ago, Rwanda fell into a deep ditch due to bad leadership, today, we are a country of hope and a nation elevated,” Agnes Mutamba, 25, a teacher who was born during the genocide told The Associated Press in Kigali. Ethnic reconciliation is a cornerstone of the rule of Kagame, Rwanda’s de facto leader since the genocide ended in 1994 and the country’s president since 2000. He is credited with bringing Rwanda stability, economic growth, and improved health and education. A quarter-century after the genocide, bodies of victims are still being found. Last year, authorities in Rwanda found discovered mass graves they say contain 5,400 bodies of genocide victims.